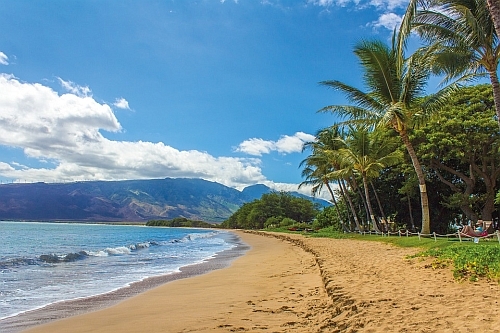 Air Canada Rouge has dropped the price of their late May and June flights from Victoria to Maui, Hawaii down to $386 CAD roundtrip including taxes. 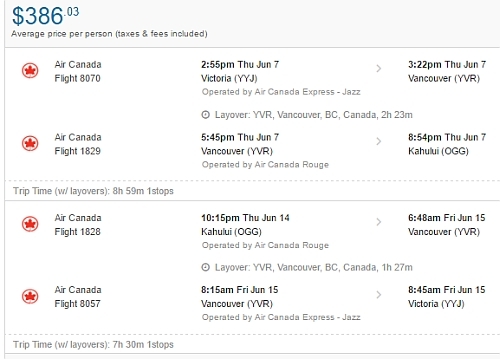 The flights have 1 stop each way, in Vancouver, for 1.5 to 2.5 hours. hawaii, united states, victoria, yyj, maui, ogg, north america, air canada rouge and kahului.